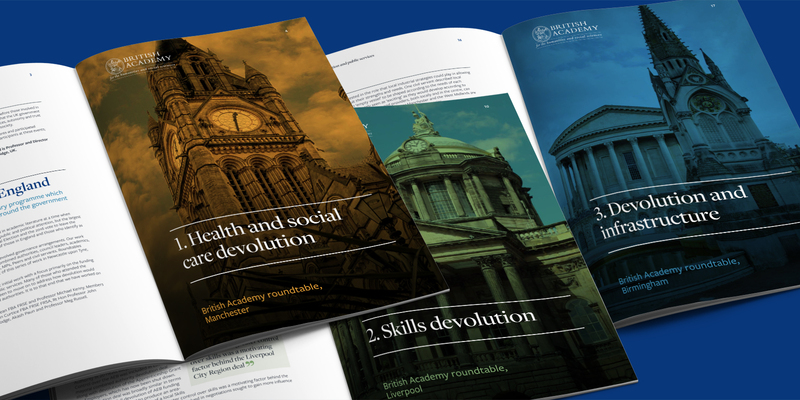 A British Academy investigation into devolution in practice through the effect of devolution on health and social care, skills and infrastructure. 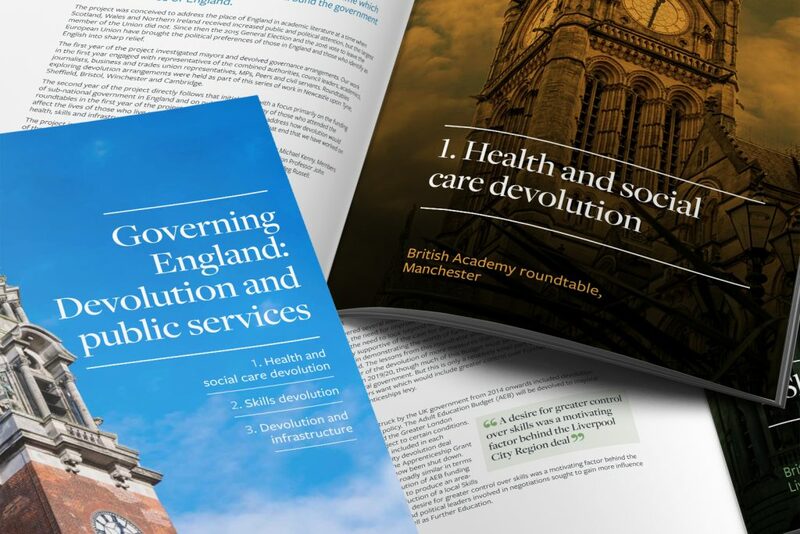 To design and produce a new report which sets out the findings from a series of regional roundtables looking at the effects of devolution in public services. 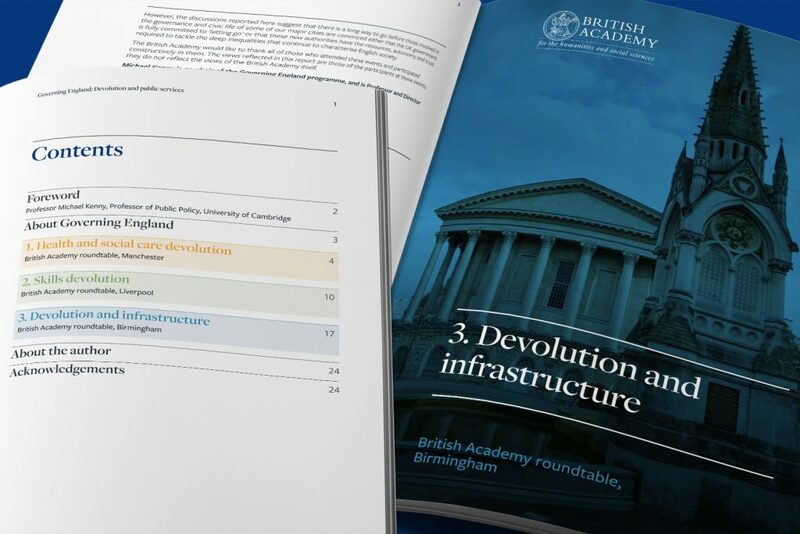 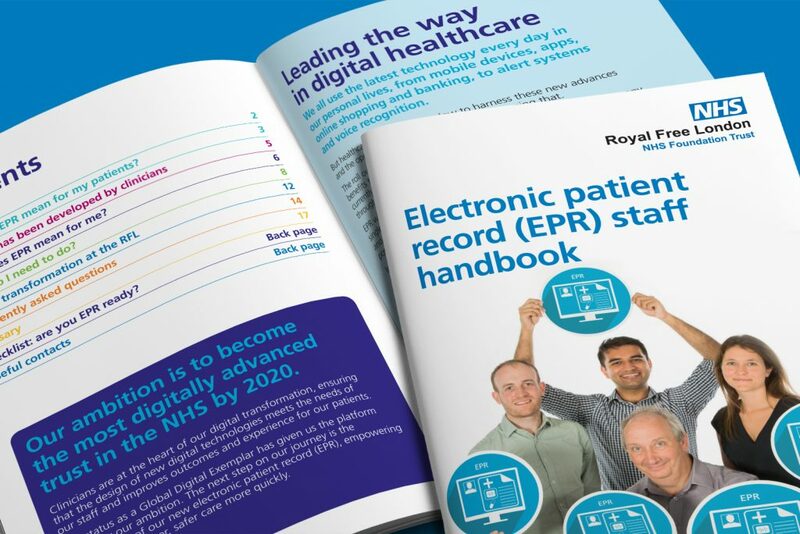 We combined the three regional roundtable reports into one all encompassing document. 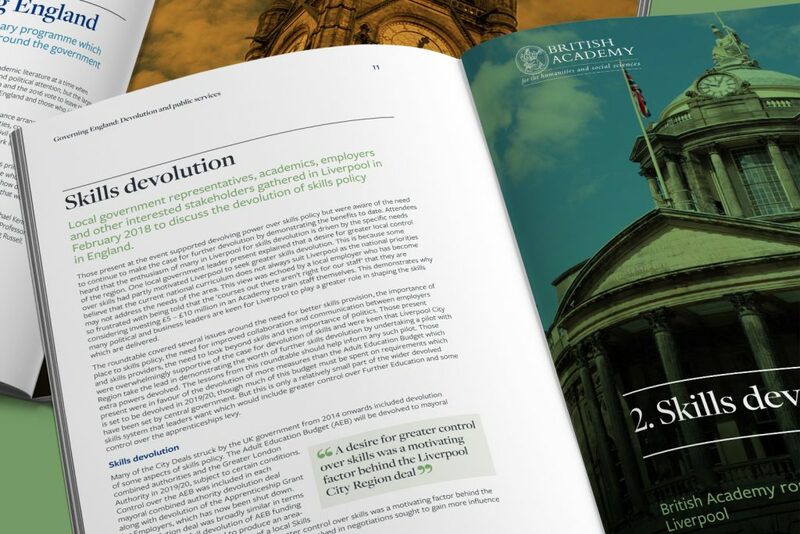 Each of the three sections were assigned a brand colour and a divider page that could act as a sub front cover allowing for subsequent document separation. 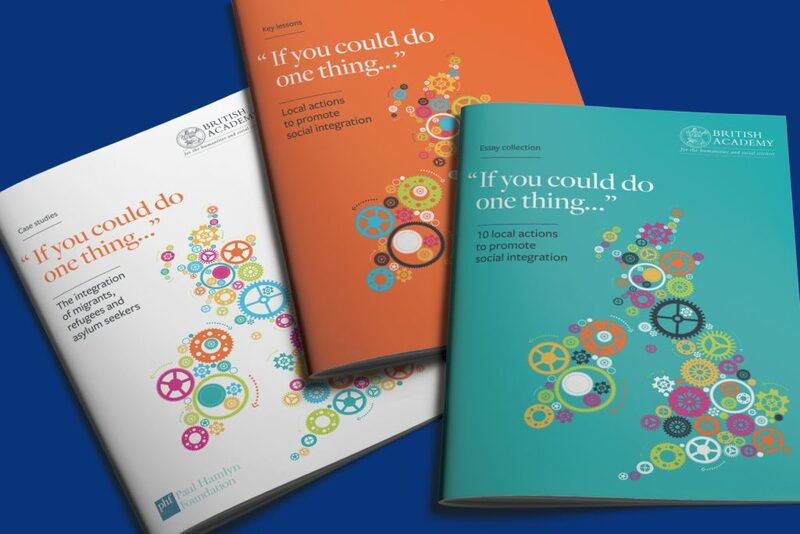 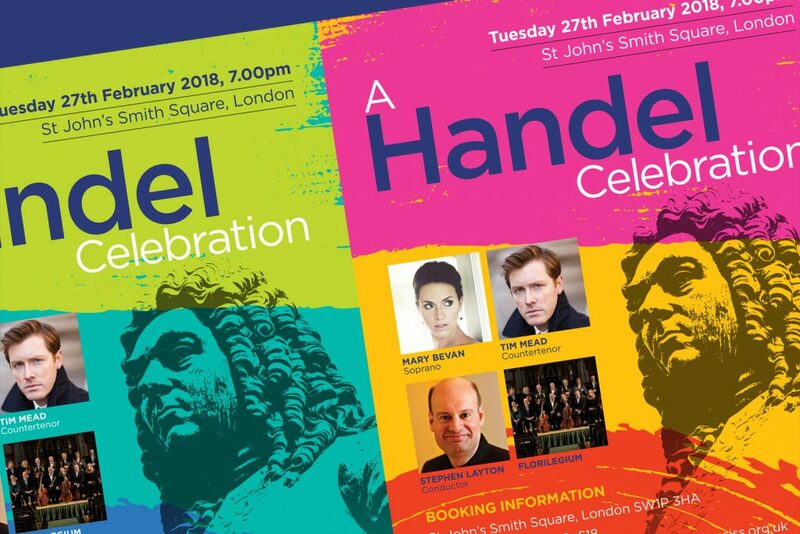 We provided a clear typographic structure with a pullout quotes throughout the document and a one-column text layout for ease of online reading.